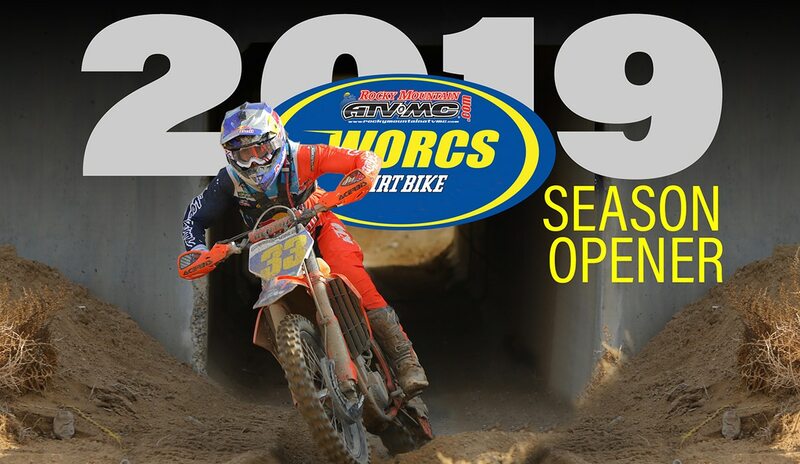 The 2019 WORCS season got underway this weekend in Primm, Nevada. FMF KTM Factory Racing’s Taylor Robert was clearly the favorite rider coming in after winning almost every round he entered in 2018. The pro class will be stacked for 2019, though, with WORCS Pro champion Giacomo Redondi returning on a privateer KTM along with a formidable Chaparral Kawasaki/Precision Concepts team that includes Zach Bell and Blayne Thompson. To make matters even more interesting, Rockstar Husqvarna’s Andrew Short flew directly in from Lima, Peru after finishing the 2019 Dakar Rally in fifth overall. Former WORCS champions Gary Sutherlin and Ricky Dietrich were also on hand. Zach Bell got the holeshot and led for the first lap. He didn’t lose significant ground to Robert until the final two laps. Photo: Harlen Foley. The Primm course was in excellent condition thanks to days of rain and included the infamous Primm tunnel, lots of rough terrain and even a challenging rock section. The pros got underway with Zach Bell getting out front early. Within a few turns, the pecking order sorted itself out to Bell, Blayne Thompson, Andrew Short, Taylor Robert and Dalton Shirey. Both Thompson and Short went down on the first lap and had to remount in the back of the pack. Another early casualty was Dietrich, who tangled with Travis Damon and went down hard. He went back into the pits, but then returned, bent bars and all, to get back into the race almost a lap down. Tayllor Robert came into the season opener battling sickness but still prevailed. Photo: Harlen Foley. By lap two, Robert had made his way into the lead but he had plenty of pressure from Bell. The two managed to open up a small gap, over third place Shirey, but couldn’t get away from each other. It wasn’t until the nith lap that Robert finally got some breathing room. By then Shirey had trouble and Thompson had come back to claim third after his early bobble. With another hard charge on the final lap, Robert was able to garner a two-minute lead over Bell by the end of the race as he collected the first victory of the season. Blayne Thompson had an up and down race, but eventually finished in third. Photo: Harlen Foley. Andrew Short came directly from the Dakar Rally to race at Primm. Photo: Harlen Foley. 2018 WORCS champ Giacomo Redondi struggled with a poor start, but eventually finished in fifth. Photo: Harlen Foley. In the Pro 2 division, Bell’s Kawasaki teammate Clay Hengeveld won ahead of Tallon LaFountaine and FMF/RPM/KTM Racing Team Maxxis rider Austin Serpa. In Pro 2 Lites, GasGas rider Mateo Oliveira was first while rider Brandy Richards rode to an impressive second-place finish in the class. Tyler Nicholson rounded out the class podium.